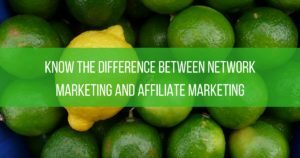 Most people have no idea what the difference is between Network Marketing and Affiliate Marketing. Understanding this difference could change what you do. Many tend to think they are the same, which is what I thought before I began as an affiliate marketer in 2015. But in fact, these two methods of online marketing couldn’t be more opposites of one another. Finally, once you understand this difference, it will make a huge difference for you when choosing a business. Affiliate Marketing Definition: Performance-based marketing strategy which business rewards for each visitor or customer brought by the affiliate marketers efforts. Multi-Level Marketing Definition: Marketing strategy in which the sales force is compensated for both the sales that they generate and of the sales from the people they recruit. These are the base definitions of these two marketing strategies. They have certainly evolved over the years. With the introduction of Internet Marketing, these to business models are becoming more and more similar. The biggest differences are the compensation plan and the community. Affiliate Marketing – The comp plan with most Affiliate Marketing programs is only one level. Someone purchase and you get paid for their purchases every month. Sometimes you will find a program with a different comp plan. 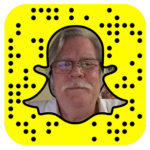 I market Affiliate programs for all of the tools that I use to build my Primary Network Marketing Business. 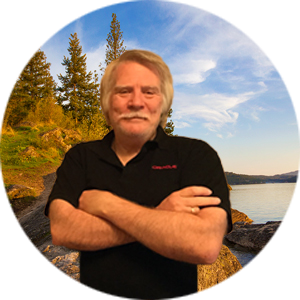 As a result, I have multiple streams of income that don’t conflict with each other. Network Marketing – The MLM business model, on the other hand, pays down multiple levels and teaches people to build a community of like-minded entrepreneurs. MLM has a much better residual income plan. Network Marketing is typically more than just a business it’s a community and family of like-minded people. If you want to know about my Network Marketing Business shoot me a message on Facebook. Finally, I hope this has shed some light and maybe an easier decision between Network Marketing and Affiliate Marketing. I give you more detail in the Video Below and here are some other posts that may help. 7 Biggest Marketing Challenges In Our Profession. Huge difference! Thanks for showing everyone the way, Ron!